What Impact Will Teddy Roosevelt's Big Win Have on the Washington Nationals? The Washington Nationals and their fans are excited, and why shouldn’t they be? The Nats have brought postseason baseball back to the nation’s capital for the first time since 1933. Not only are they in the playoffs, but with a NL best record of 98-64 (MLB best actually), Washington has clinched home field throughout. Paced by the energy of a teenager in Bryce Harper, a breakout season by Ian Desmond, consistent dependable production both at the plate and in the field from Adam LaRoche and Ryan Zimmerman, along with a Nationals pitching staff top to bottom that is second to none (even without Stephen Strasburg), the Nats have a legitimate shot to win the 2012 World Series. Wednesday however the focus was on Teddy, the much-maligned hard working member of the racing presidents who compete during every Nationals home game and had never won a race. Before yesterday, Teddy has lost an amazing 525 consecutive races. On Wednesday during the Nationals’ regular season finale against the Phillies that all changed however as Teddy finally notched a mark in the win column. Ok, perhaps it was orchestrated as he had some help and there was some foul play involved, but he won never the less. Wearing a red headband and bright gold shoes modeled after those made famous by world’s fastest man Usain Bolt, Teddy got off to a slow start, trailing Abe, then Jefferson, then Washington. But a green blob intended to resemble the Phillie Phanatic felled the three leaders in the right field corner, and Roosevelt strolled home by himself as the crowd roared and began chanting his name (really). He then ripped off his usual jersey, revealing a red “Natitude” t-shirt, and soaked in the cheers. Will the change in tradition allowing Teddy to win throw off the momentum the Nationals have going into the playoffs? While this appears to have been a long awaited scheduled event whenever the Nats made the playoffs for the first time, one has to wonder why the Nats would change anything at this point? Where they trying to make a statement? What Impact Will Losing Ray Lewis Have on the Baltimore Ravens? What Impact Will Hunter Pence Have on the San Francisco Giants? What Impact Will Jeff Demps Have on the New England Patriots? 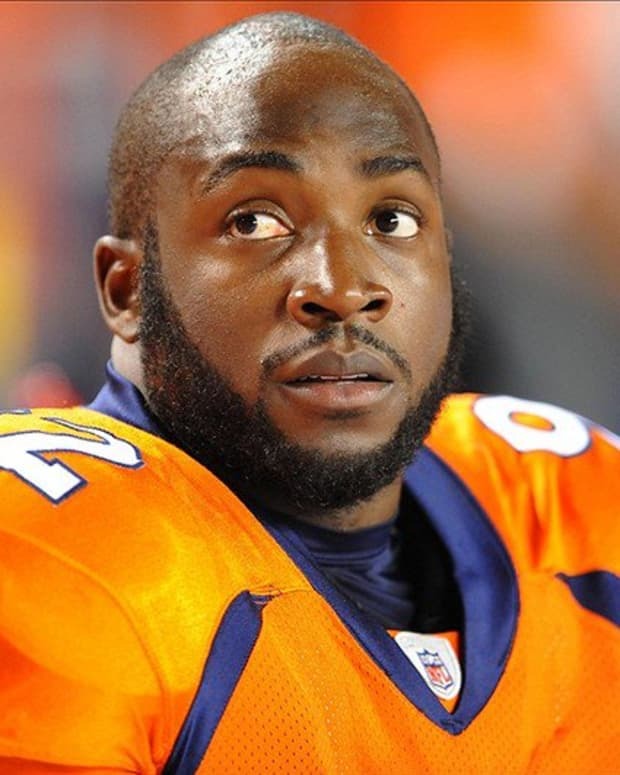 What Impact Will Loss of Elvis Dumervil Have on Broncos? What Impact Will Shane Victorino Have on the Los Angeles Dodgers? What Impact Will Branden Smith's Arrest Have on Georgia Football? What Impact Will Rob Gronkowski’s Absence Have on the Patriots?